Ambrane launches Smartwatch ASW-11 with fitness tracking capabilities - AndroGuider | One Stop For The Techy You! Ambrane earlier this year set foot into the Indian wearable market with a fitness tracker called Flexi Fit. Now the popular accessories maker is launching its first smartwatch called Smartwatch ASW-11. The wearable also functions as fitness tracker, and is able to track activities like steps taken, distance traveled, calories burned and sleep monitoring. The Ambrane Smartwatch ASW-11 is said to be a "multi-functional' watch with built-in speaker and microphone, and lets users to accept/reject calls, play music, snooze an alarm and set call or message reminder. The smartwatch also has a stopwatch, a calendar, and lets you create short reminders and manage to-do lists. The watch has 1.44-inch touch screen display, comes with rubber strap and weighs just 50g. It is fueled by 200mAh battery, which promises two days of run time. It is compatible with Android and iOS devices. 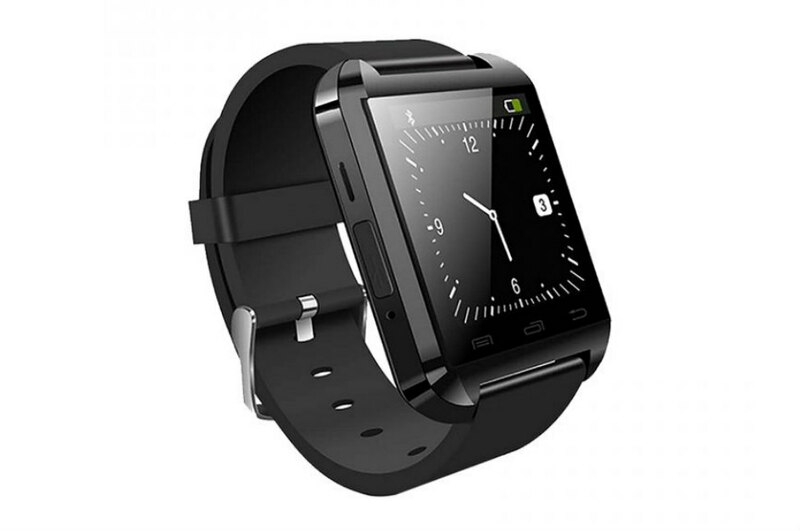 The Smartwatch AQ-11 is priced at Rs. 899, and is available on Flipkart in Black color.